Many of you wine lovers have recently read the wine articles and reviews about the new California vino that’s hitting all of the markets and fine wine shops. 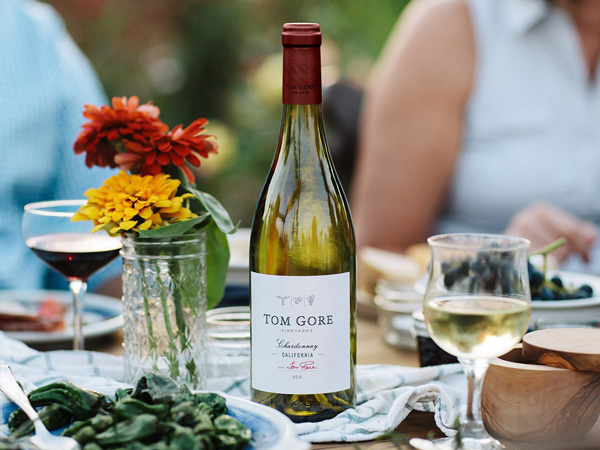 Tom Gore Vineyards is the name—and by the way, it’s the first California wine label named for a grape grower. 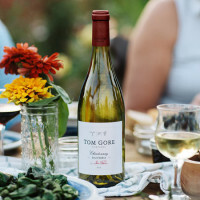 Tom has recently débuted his portfolio with three bottlings, one of which—the 2013 Chardonnay—I’ve already recommended as the “perfect grilling wine” for summer. 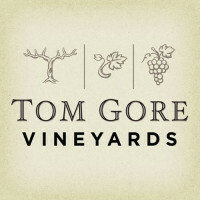 And Tom continually is quoted, “Great wines start in the vineyard.” That’s what Tom Gore believes to be true, and that’s what wine insiders have long known. I recently had the pleasure of interviewing him. Pretty much everyone is a bit jealous but we’re all very happy for him that he is living the dream in the rich food & wine culture of Sonoma County. 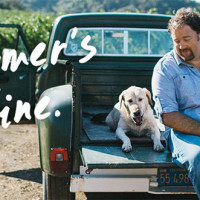 Tom was born and raised in Sonoma County’s famed Alexander Valley where his father, Tom Sr., was a vineyard farmer and manager who toted his infant son all about; at around three years old, Tom Jr. was reported to have taken his aunt on an excursion through the vineyards and accurately explaining to her that the workers were budding the vines. So as one can see, he not only has wine in his blood, he had the total vineyard tending “terroir” going on through his heart, soul, and mind. As we carried on our phone conversation, I sat at my computer; he sat by his kitchen window that over-looks both his bucolic vineyards and his 1.5 acre of “organic produce patch” which also includes a stack of bee hives. Earlier that week, I was blessed to find on my doorstep a rustic-designed crate that carried not only his wine, but a package of almonds and bottles of delicious olive oil and honey produced from his and wife Erin’s micro-farm. Tom speaks humbly and continues to consider himself privileged to tend the land. When I attempted to penetrate his mind on the science of winemaking (he has a degree from Cal Poly in fruit science) he shrugged it off—simply stating that he is just a grape farmer. He partners with esteemed winemakers to produce his new portfolio of wine but speaks of the “farmer’s role” in crafting his wine—the nuanced hand that the farmer can lend to the finished wine. As mentioned earlier, I’m a big fan of the Tom Gore Vineyards 2013 Chardonnay. It’s my latest “grilling wine” that I hold in my left hand while my right grills the meat. Usually a thirst quenching Sauv Blanc would be in my glass, but this summer I’ve moved over to a wine just as refreshing but with a bit more body and complexities. The Chardonnay carries the classic profile of ripe apple and pear, with light touches of tropical fruit, toffee and toasty oak. And the perfect balanced acidity keeps this chilled wine invigorating on a hot day. It’s a great value at around $12 and ideal for lunches and summer dinners. 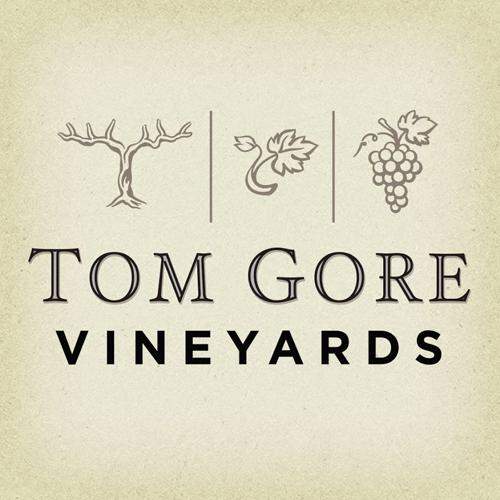 The Tom Gore Vineyards 2013 Alexander Valley Cabernet Sauvignon literally showcases his instinctual “coaxing of the vines”. While enjoying this quaff, the feel and flavor of the wine brought me back to the Sonoma Valley red table wines of the 1980s, where one could simple taste the pure “Sonoma terroir. A wonderful medium-bodied Cabernet that’s both juicy and well-structured with plum and blackberry and elements of dark chocolate and coffee. A superb balance of acidity, making it a food wine for all occasions. Also a great deal at around $15. Lastly, we have the Alexander Valley treat from Tom Gore, his 2012 Alexander Valley Field Blend at around $40. This is a very unique field blend of Bordeaux varietals utilizing 35% Petit Verdot, 33% Malbec, 21% Merlot, 6% Cabernet Sauvignon, along with a spirited 5% Tempranillo! That’s why I called it a treat! You’ll not find this combo anywhere. It owns great complex aromas of blackberry, leather, and oak toast. This full-bodied wine has superb concentration with fruit on the palate. The tannins are firm but ripe, contributing to the length and richness of the finish. Delish! & Cheers! Rick is your “somm-about-town” conducting and entertaining at wine events and tastings. Contact winespectrum@aol.com. Next articleBlack Cats & Dogs Seek Love!